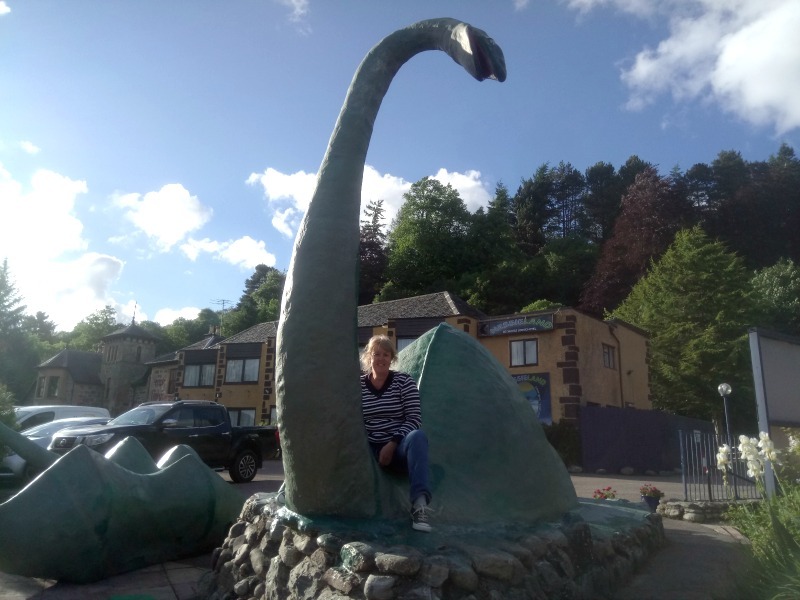 When we were given a couple of days off from our Helpx working stay in Pitlochry we decided to head off in search of the infamous Loch Ness Monster. Or perhaps we just decided on another road trip up to Inverness and around Loch Ness? You decide. Is it a legend or just a fairy story? Depends who you speak to and where you go. 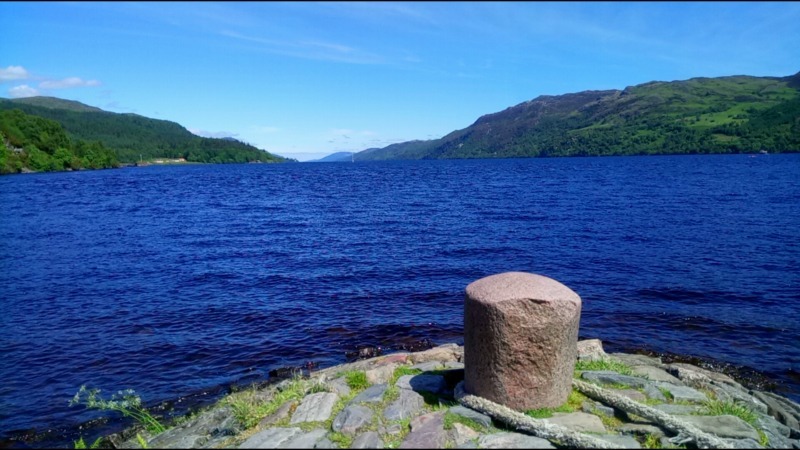 A few ‘did you knows’ about Loch Ness first, you’ve probably heard most of them. Loch Ness holds more freshwater than all of the lakes and rivers in England and Wales put together. 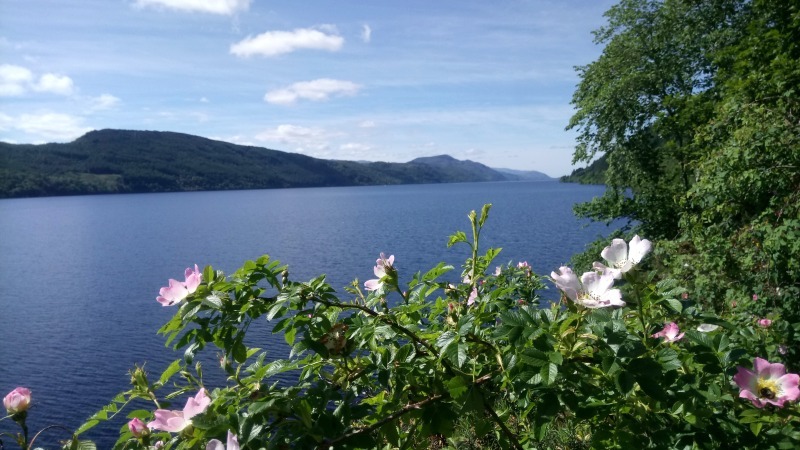 Loch Ness is part of the famous Caledonian Canal that links Fort William to Inverness. Built by Thomas Telford in the 18th century it’s 60 miles long and has 29 locks to negotiate. Loch Ness is 23 miles long, 1 mile wide. Loch Ness never freezes over, ever. Apparently the world population could be fitted into Loch Ness three times over! 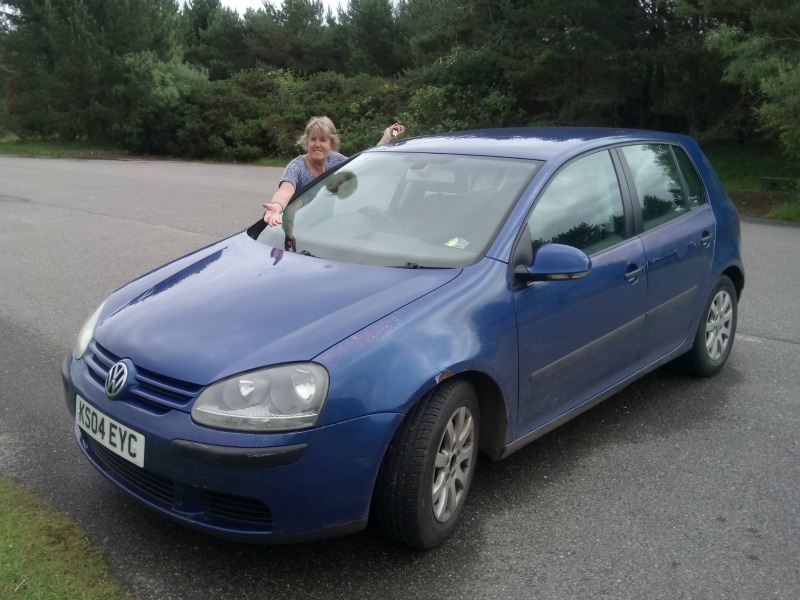 Loch Ness apparently has a monster ……………………..
Excitingly we had a different car this time. Patra the little red Clio had been swapped for a blue VW Golf called McCar so we headed north into the Cairngorns on our way to the north east coast near Inverness. Cutting across from Aviemore to Grantown upon Spey and up across Daltra Moor to the seaside town of Nairn. 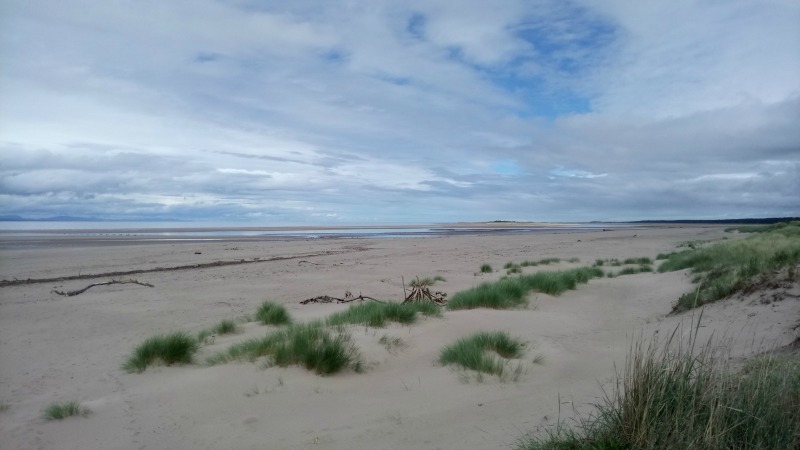 Luckily the weather was fabulous so a walk through the sanddunes of Nairn and then alfresco lunch on the beach was the obvious thing to do. We really didn’t expect to be enjoying this kind of weather in this kind of location. Fantastic. After a bit of a wander we decided on a quick coffee before heading on to Inverness. Found a quiet little cafeteria shack but just as we entered a group of 65 seven year olds appeared from nowhere and queued in front of us for ice creams! Sixty Five of them! And every one had to ask what was available and then think for ages what they wanted. Sweet to watch but time seriously slowed down. 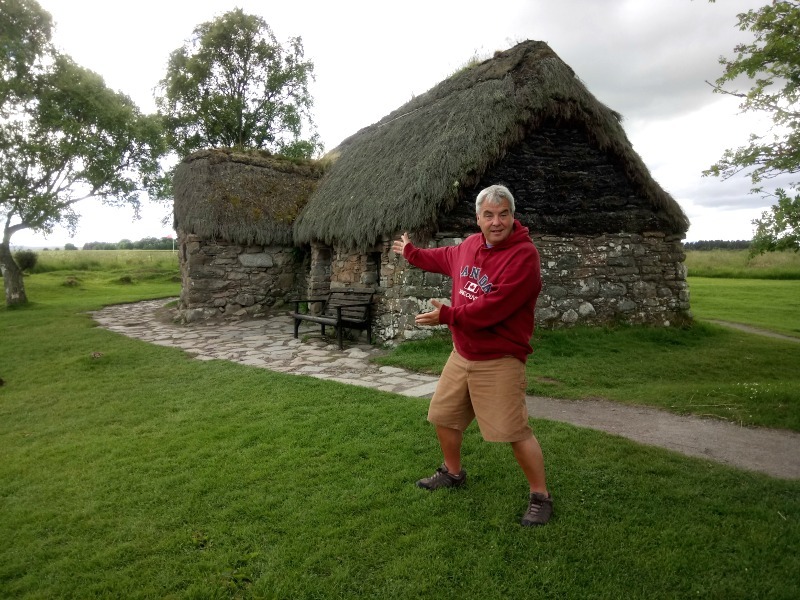 Before Inverness we took a minor detour to visit the Battle of Culloden battlefield. 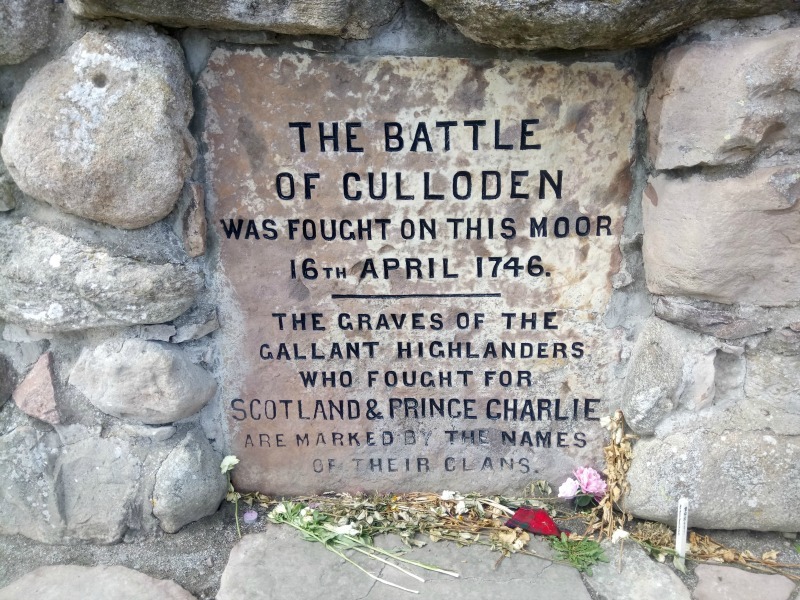 The last battle to have taken place on British soil in 1746 when the Jacobite rising led by Bonnie Prince Charlie was finally ended. 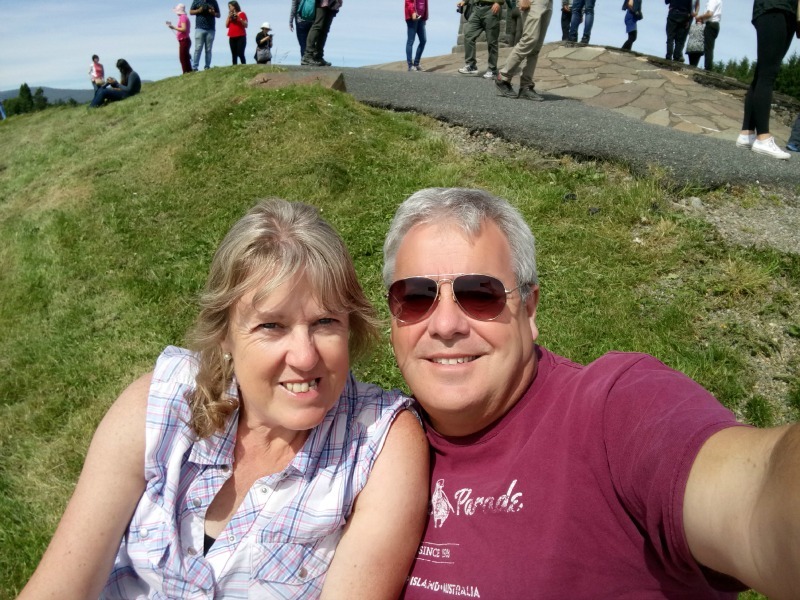 It’s a big tourist attraction with a visitors centre and an astronomical entrance fee now but being the experienced travellers we are we avoided the fees and wandered round the side for free. Such an interesting place. Great to visualise what happened and learn some history as we strolled before heading off to Inverness and Loch Ness. 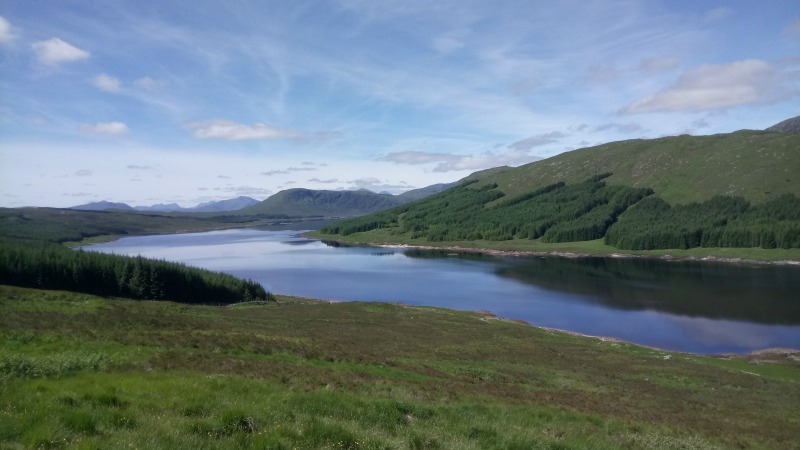 We planned to get past Inverness and take a leisurely drive down the west bank of Loch Ness and take in the sights of the most famous Loch in Scotland. 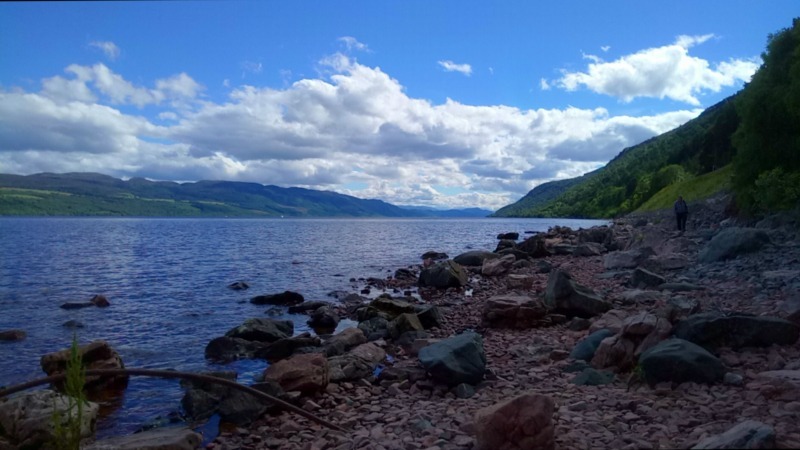 Loch Ness: Dark and Scary? Not at all, well not on the day we visited anyway. We had glorious sunny weather to stop and wander on the shore of the lake and really make the most of the opportunity. I had always thought of Loch Ness as a dark, foreboding, bleak and cold sort of place but for us it was the complete opposite. In fact it reminded us of some of the amazing lakes we’d seen in Canada. I’m sure it’s not often like that and we just chanced upon brilliant weather. We had an Airbnb booked in Drumnadrochit, a small village on the western shore, so headed down to get checked in. Now I haven’t mentioned the Loch Ness Monster at all yet as I was waiting to explain what they have in Drumnadochit. There’s the fabulous Loch Ness Centre and exhibition, some lovely pubs, and last but by no means least there’s Nessieland. Yes you read that right. We didn’t give it a chance I’m afraid as it looked absolutely awful and cheesy and was exactly the sort of place that made us so sceptical about the whole Loch Ness Monster story in the first place. It’s a fun legend I suppose but there are a lot of tacky tourist businesses around the lake that sadly spoil it a bit. 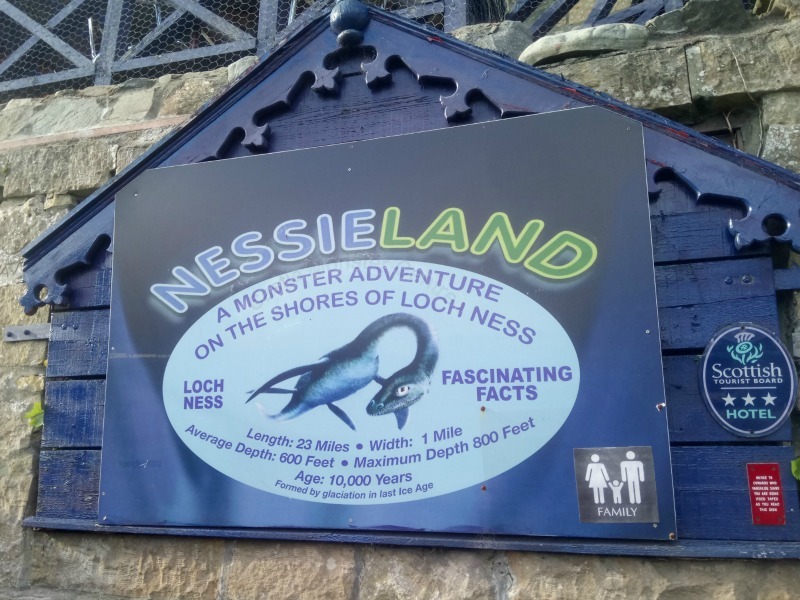 Apparently the first ever reported viewing of the monster was in the 7th century by a local monk, the first photograph was in 1933, and there have been over 1000 sightings of Nessie altogether. Unbelievable eh? Does it make you think that there must be something in it for so many people to have allegedly seen something? Or is it all just gobble-de-duke as Baldrick would say? Great little village with a ton of character and a lovely room in an Airbnb within walking distance. So a well deserved alfresco fish’n chips at Fiddlers Highland Restaurant followed by an early evening stroll back up to our lodge. 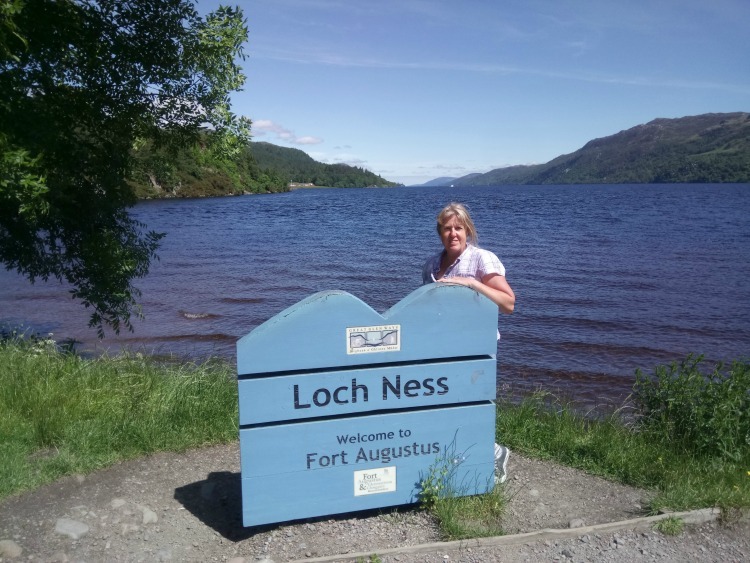 Now when I titled this blog ‘How we met the Loch Ness Monster’ I was obviously referring to the legend and the Loch but could equally have been talking about our Airbnb hostess (who I will now refer to as Nessie). Picture the scene, breakfast in a lovely big room overlooking the woods with a generous breakfast laid out in front of us. Jo and I sitting one side facing a couple from Indiana USA with our hostess, Nessie, at the head of the table. 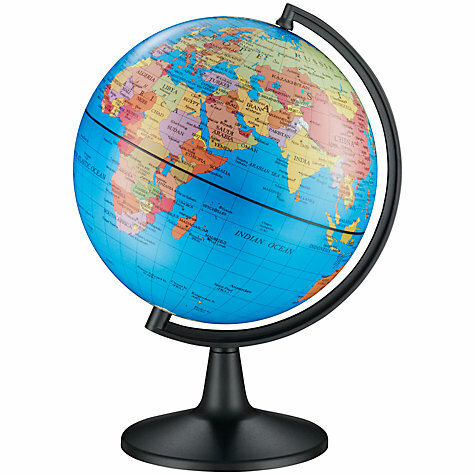 Time for a sociable friendly chat about travel and life with some new friends? Not a chance. What it was was time for a lecture on Scottish politics from Nessie. Then UK politics and even US politics. Every time we tried to include the stunned American couple the conversation was wrenched back aggressively for another lecture. Questions about their trip turned into Nessie knowing everyone that lived in the Highlands. When we spoke of their homeland she spun it into society parties she’d attended and famous people that she knew. We were lectured for over an hour on Nicola Sturgeon, Scottish industry, her love of fast driving, posh parties, the Arts, all interspersed with the most atrocious name-dropping we’ve ever heard. It was exhausting and as we left the Americans looked distinctly shell-shocked. Travelling south from Drumnadrochit we headed for a circular route that headed west from Invermoriston along the banks of both Loch Loyne and Lock Garry and back to the Caledonian Canal at Invergarry. We’ve had several fabulous drives in Scotland but this blew them all away, it was fantastic. The views were just unbelievably beautiful and we stopped time after time just to soak it all up. Highly recommended if you are ever this way. A slight detour for a lunch stop up to the southern end of Loch Ness and the lovely little town of Fort Augustus. There were quite a few tourists and a bit of traffic but it was a glorious day and we walked to the edge of the lake to take in some incredibly beautiful views. I don’t think its like this often so we were very very lucky . 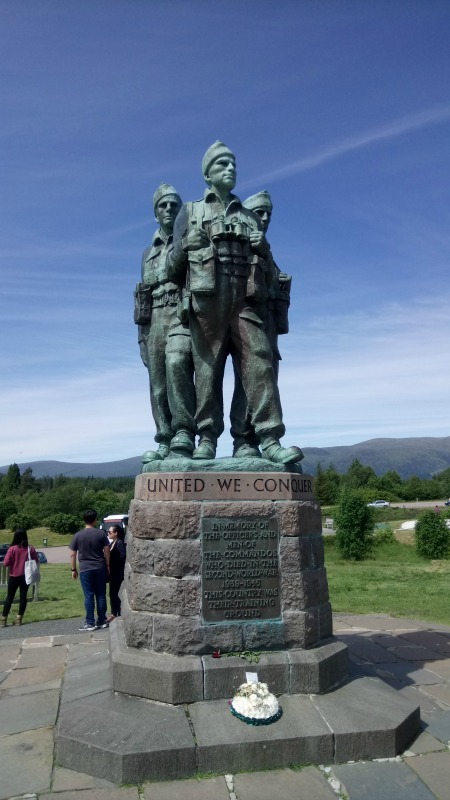 A few miles south at the fabulously named Spean Bridge there is the Commandos Memorial which overlooks the old training camp at Achnacarry Castle where all commandos trained during the second world war. A fascinating thought-provoking memorial with views across to Ben Nevis and Aonach Mor. 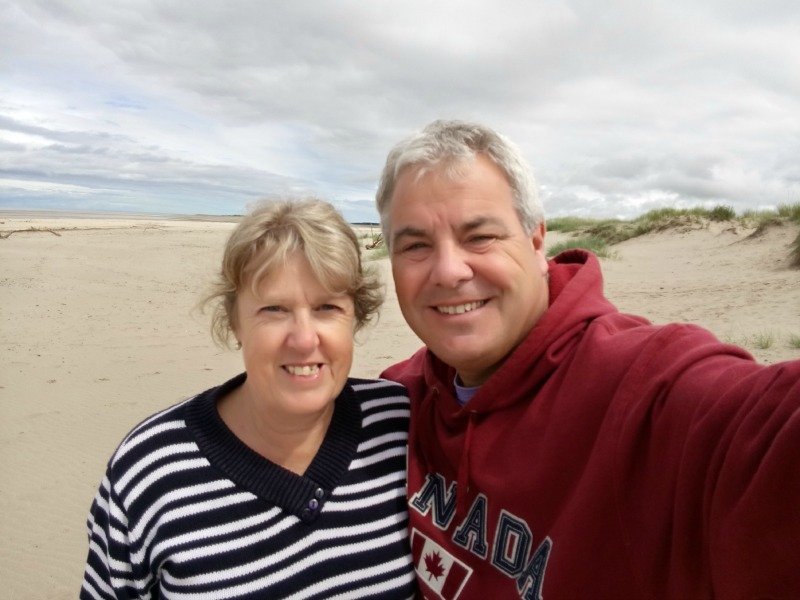 A few too many selfie-obsessed coach-weary travellers but great all the same. A slow drive home to Aberfeldy was only broken by a visit to the weird and wonderful House of Bruar, a huge high-end tartan-clad Scottish store that reminded us of Harrods. So strange to see somewhere like this in the middle of the Highlands. Bit bizarre. We’re not sure how many of these long trips we’ll be able to do whilst we’re working here as we often just get single days off and many places are just too far for a day out. We’ll see. Life is good up here though, we’re loving it. 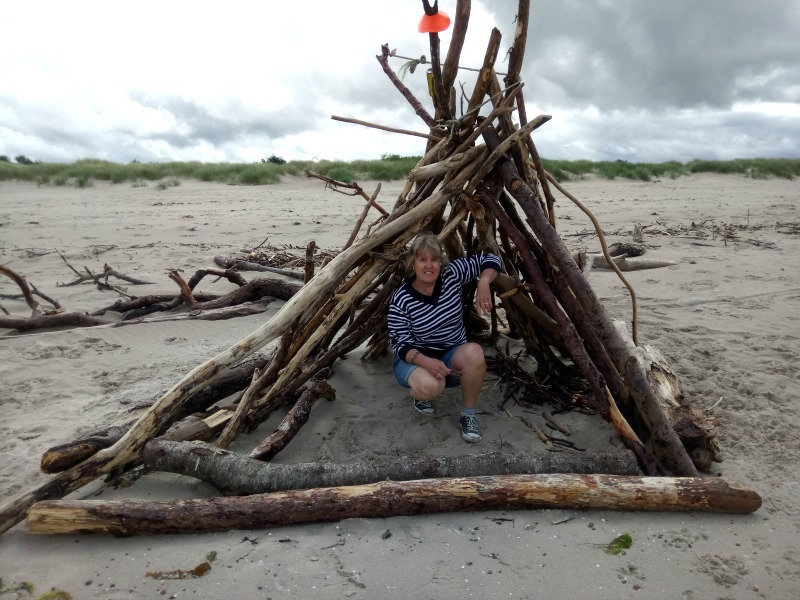 We’re loving Scotland thanks Dawn, the weather could be better of course but thats just the Scottish way. Fort Augustus was fabulous. Just fabulous. I’ve spent many a day swimming in the Loch. It’s just great (before the commercialism!). It looked pretty cold even in the sunshine but a swim would have been great. Some of the towns do seem a bit commercialised unfortunately but its so big that I don’t think it spoils the area at all. In fact some of it is quite funny to see. Sorry I missed you guys today. I’m currently away on a Eurotrip with my friend, the giant Puma from Blue Bell Hill in Kent. Gutted to have missed you too Nessie. Is this Nessie the monster or Nessie the Airbnb host? I’m with you Jon on Scotland being very beautiful indeed. 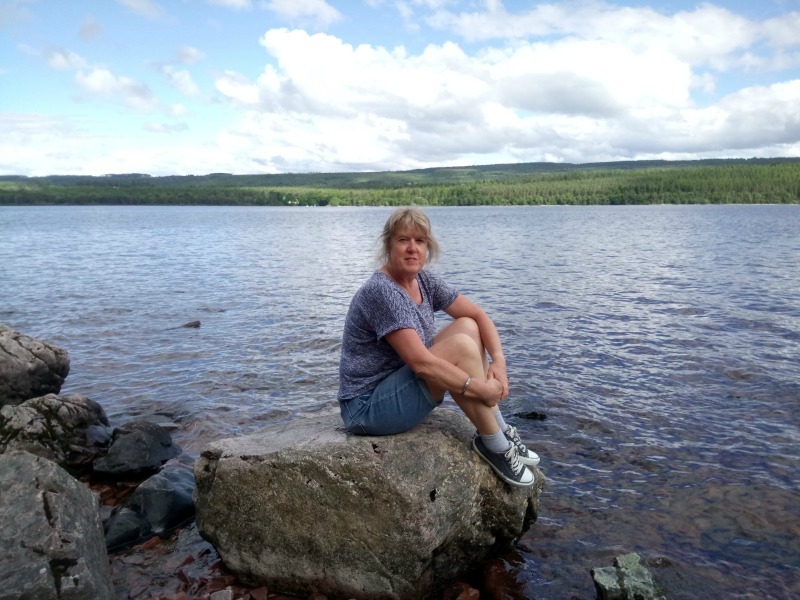 We spent Friday at Loch Lomond and drove through the Duke’s Pass passing Loch Katrine, Loch Achray before stopping at Loch Venachar for lochside coffee and cake. If you get lucky with the weather it’s bloody fabulous.Shame about Nessieland though. Totally unnecessary. Really glad you’re both enjoying Scotland pal!